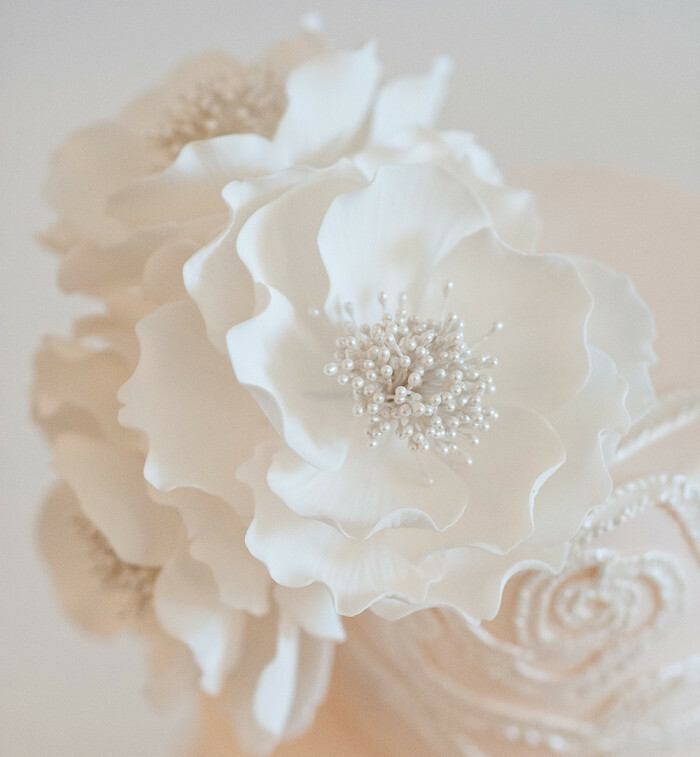 Inspired by a couture bridal gown, Isabelle is sweet and full of grace. 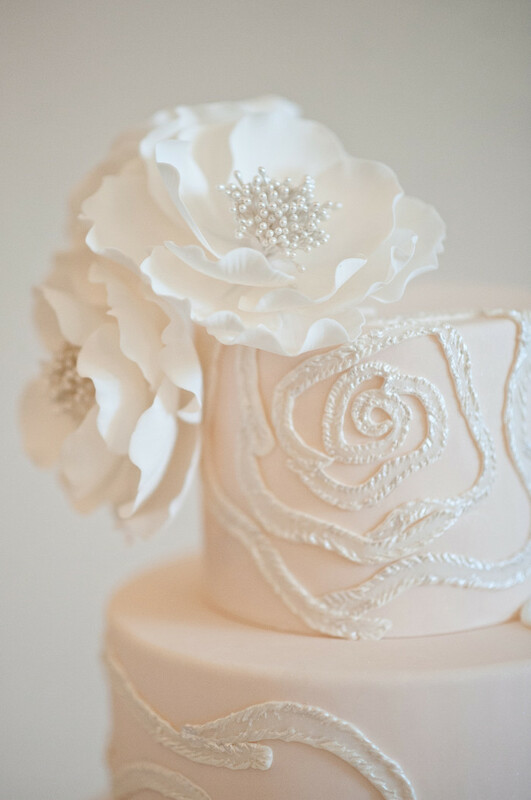 Thin, delicate sugar strands were applied in a rose shaped pattern. The strands were textured and then lustered with a pearl sheen to appear as if they were sewn on. 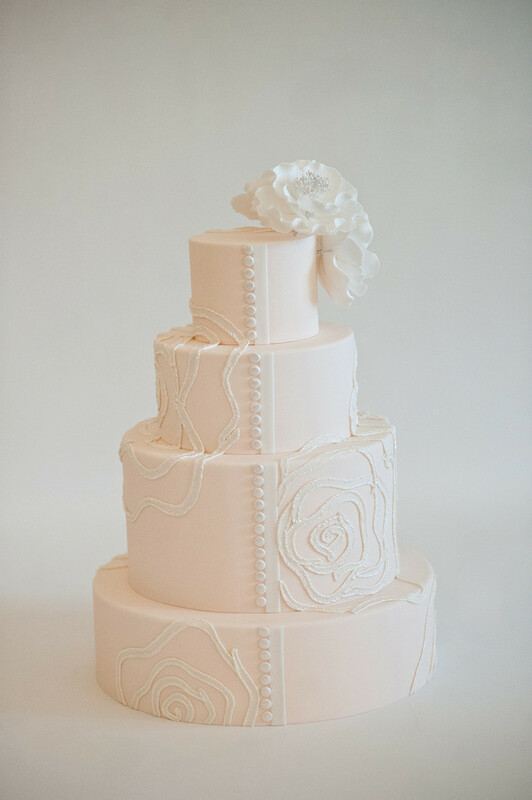 Sugar buttons adorn the back of the cake and stylized sugar roses with pearl centers rest offset on the top tier. 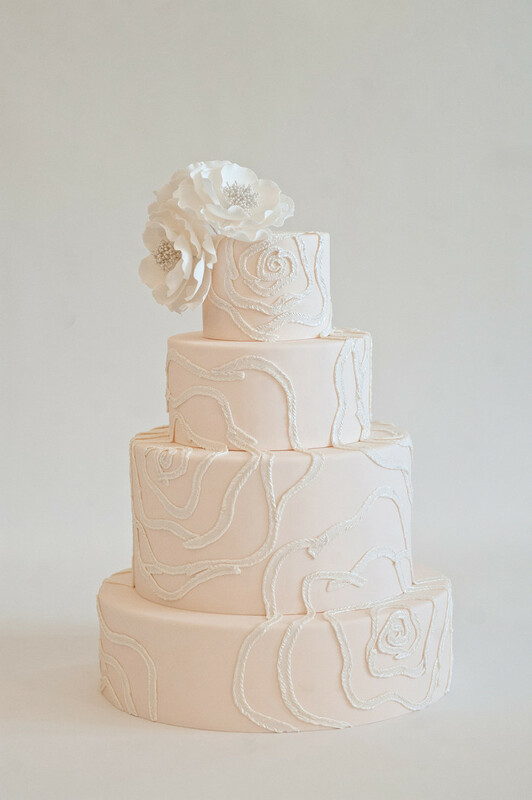 Isabelle is for the Bride who wants soft color, texture, and pattern.